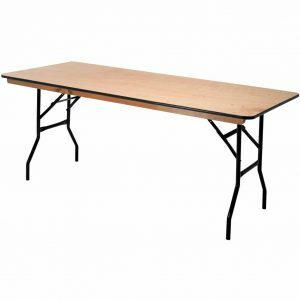 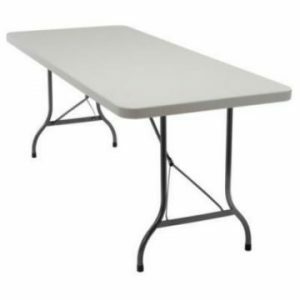 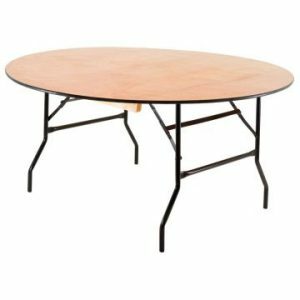 We stock a variety of 6ft (183cm) tables with both Plastic (Blow Moulded) and Wooden (Ply Wood) tops. 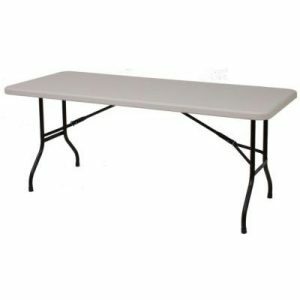 All the legs are made from strong steel and are black powder coated. 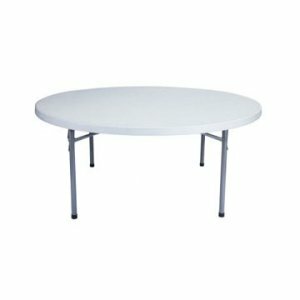 The locking folding mechanism is the same on the rectangle and round tables.